Scientists at Joslin Diabetes Center, Harvard University, and the University of Cambridge have found that the age-related impairment of the body’s ability to replace protective myelin sheaths, which normally surround nerve fibers and allow them to send signals properly, may be reversible, offering new hope that therapeutic strategies aimed at restoring efficient regeneration can be effective in the central nervous system throughout life. Joslin Diabetes Center, located in Boston, Massachusetts, is the world’s preeminent diabetes research and clinical care organization. Joslin is dedicated to ensuring that people with diabetes live long, healthy lives and offers real hope and progress toward diabetes prevention and a cure. Joslin is an independent, nonprofit institution affiliated with Harvard Medical School. Researchers from Georgetown University Medical Center in Washington DC reported today at the Annual Meeting of the American Society of Cell Biology that sperm contains stem cells capable of becoming beta cells. The beta cells are the insulin producing cells of the pancreas which are damaged/destroyed in patients with Type 1 diabetes. Conventionally adult stem cells are found in the bone marrow, fat tissue, and cord blood. Recent studies have identified stem cells in places such as menstrual blood (endometrial regenerative cells), hair follicles, and baby teeth. The finding that stem cells from sperm are capable of generating insulin-producing cells has several major implications. For one, males could theoretically bank their own stem cells and use them in the future. Currently transplants with beta cells or pancreatic transplants have the drawback that there are not enough donors and also that the recipient is required to receive life-long immune suppression. The lead scientist of the finding is biochemist G. Ian Gallicano of Georgetown and his colleagues obtained tissue from human testes from recently deceased donors and placed them in a special growth medium in the laboratory, where they began producing insulin. “These are true pluripotent stem cells,” he said in a statement. When transplanted into the backs of immune-deficient mice, the cells cured diabetes for about a week before dying. More recent results, Gallicano said, show that the researchers are able to produce more insulin-producing cells and keep them alive longer. The challenge, he noted, is to make them survive for very long periods of time in the recipient. Dr. Gallicano and his team previous published in the peer reviewed journal Stem Cells and Development (Golestaneh et al. 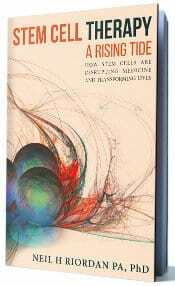 Pluripotent stem cells derived from adult human testes Stem Cells Dev. 2009 Oct;18(8):1115-26) that the testes contains spermatogonial stem cells (SSCs) which are capable of converting to embryonic stem (ES)-like cells which can differentiate into all three germ layers and organ lineages. The importance of the current research is that these stem cells can actually exhibit function when administered to animals. It will be interesting to see if other organ functions may be restored by use of these stem cells. Pandey et al. Breast Cancer Res Treat. Resveratrol is a compound found in grapes, red wine, purple grape juice, peanuts, and berries that has been associated with many health benefits, particularly reduction in heart disease. Some studies have demonstrated that resveratrol increases life span when administered at high concentrations. One area of controversy has been the potential of resveratrol in the treatment of cancer. One way of testing the anti-cancer efficacy of compounds is to administer the compound of interest to cancer cells that are growing “in a test tube”, or “in vitro.” Recently it was shown that cancer cells taken from a patient and propagated in vitro are usually not representative of the original tumor from which the cancer cells were excised. Specifically, it has been shown that in patients, cancer cells can broadly be classified into the rapidly multiplying cells, and the “sleeping cells” otherwise known as tumor stem cells. 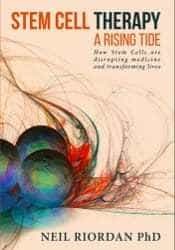 It appears that in vitro the rapidly multiplying cells continue multiplying, but the cancer stem cells do not multiply. This is important because the cancer stem cells seem to be the cells responsible for causing the tumor to spread, whereas in the rapidly multiplying cells actually seem to be weaker and more sensitive to chemotherapy. Interestingly it seemed like the effects of the resveratrol were mediated by manipulating the way in which the cancer stem cells make fat. Specifically, resveratrol caused a significant reduction in fat synthesis which is associated with down-regulation of the enzyme fatty acid synthase (FAS). The suppression of the enzyme FAS was correlated with upregulation of the genes DAPK2 and BNIP3, which are known to stimulate a process called “apoptosis”, or cellular suicide. This recent paper belongs to a growing example of scientific reports in which various “treatments” advocated by naturopathic doctors seem to have effects on cancer stem cells. For example, a previous publication (Kakarala et al. Targeting breast stem cells with the cancer preventive compounds curcumin and piperine. Breast Cancer Res Treat. 2010 Aug;122(3):777-85.) reported that the chemical curcumin, which is a component of the Indian spice turmeric, selectively inhibits cancer stem cells. Beiki Biotechnology and Medistem Inc (MEDS.PK) report positive safety data in 114 patients with neurological conditions treated using Beiki’s proprietary cord blood stem cell transplantation protocol. In the peer-reviewed paper “Safety evaluation of allogeneic umbilical cord blood mononuclear cell therapy for degenerative conditions” available at http://www.translational-medicine.com/content/pdf/1479-5876-8-75.pdf ., a team of researchers from Bieke Biotechnology, Medistem Inc, University of Western Ontario, Canada, and University of California, San Diego, describe biochemical, hematological, immunological, and general safety profile of patients with neurological diseases who were observed between 1 month to 4 years after treatment. No serious treatment associated adverse effects were observed. The current report aims to serve as an “expanded Phase I” study, with efficacy data to be published in a subsequent paper. The current medical dogma states that patients receiving cord blood transplants need to be immune suppressed, otherwise the cord blood will cause a devastating condition termed graft versus host. Due to the potentially lethal effects of immune suppression, cord blood stem cells are not used on a widespread basis, with the exception of treating aggressive leukemias. The technology developed by Beike allows the use of cord blood stem cells without immune suppression, thus opening up the use of this procedure to a much wider patient population. (STEPHEN BROZAK and LARRY JINDRA, M.D. ABC News) There is some anticipation that this fall will be an important season for the debate on embryonic stem cell research. On Aug 30, 2010 a Washington, DC district judge (Lamberth), issued a temporary injunction halting all federal funding for basic research into embryonic stem cell technology. The injunction states there is a legitimate basis for arguing the matter in court. A full hearing will soon decide the final outcome. If the decision is upheld, federal funding for embryonic stem cell research will cease, in a similar manner to the previous funding moratorium on this research during the Bush administration. According to this article, Judge Lamberth’s decision “reflects the lack of awareness in the U.S. around research and development of embryonic stem cells”. This statement was made because subsequent to the ruling, the price of numerous stem cell company stocks fell, including of companies working in the area of adult stem cells. These companies in no way should be affected by the controversy surrounding embryonic stem cells. The article highlights the important difference between these two stem cell types. Embryonic stem cells are generated from a fertilized egg in vitro. These stem cells are highly undifferentiated and form tumors when administered into immune deficient mice called teratomas. The other type of stem cells, adult stem cells, are derived from sources such as bone marrow, menstrual blood, cord blood, placenta, and fat. These cells do not generated tumors and have been used therapeutically in the treatment of many diseases. To date, the only use of embryonic stem cells in humans has been by the company Geron that is generating oligodendrocytes from embryonic stem cells for use in the treatment of patients with spinal cord injury. Geron has spend years trying to attain FDA approval for its approach. A temporary approval was granted under the Obama administration which was rapidly rescinded. Subsequently the trial was allowed to continue, however no data has been reported at the time of writing. 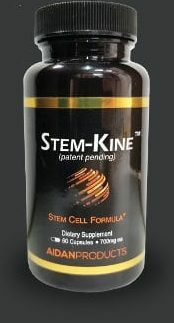 Adult stem cell companies include Osiris, who are working on bone marrow derived mesenchymal stem cells for treatment of heart failure, graft versus host disease, and Crohn’s Disease, Pluristem, who are working on placental mesenchymal stem cells for treatment of critical limb ischemia, and Medistem Inc, who are using menstrual blood derived Endometrial Regenerative Cells (ERC) for treatment of the same condition. The authors of the article are Stephen Brozak, president of WBB Securities, an independent broker-dealer and investment bank specializing in biotechnology, medical devices and pharmaceutical research and Dr. Lawrence Jindra who is director of research for WBB Securities.